As the price for renters and buyers climb- we see different trends in how we live day to day in America. Years ago- only one person had to maintain a full-time job in order to stay afloat in the housing community… But now two who work full-time and then come seem to b the only way to make the American dream a reality to live on their own free of roommates. Although some get the lucky hand at living, most struggle to meet deadlines with paying rent due to the pricing of not only living, but utilities, HOA fees, and other random expenses that come along the way. A new trend has been all the rage with those who are looking to cut expenses but also live a very free range lifestyle. Tiny homes became noticed as early as 1854. Tight quarters were not only easy to build but easy to maintain compared to a large structure. It was not until 1997 Oregon amended housing regulations to allow homeowners to build ADU’s (Assessable Dwelling Units) which more so means the owner of the property could build without a special permit- thus creating a new trend of tiny structures (such as sheds, and other small housing/storage areas). In 1999 Jay Shafer started the first company that primarily built and sold tiny homes in California. 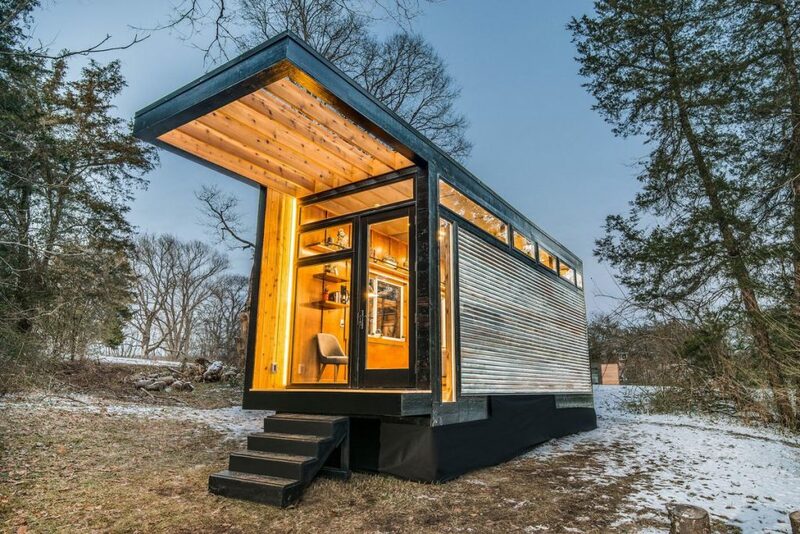 Although this idea keeps growing, the idea of living small is not for everyone. When choosing to make this your lifestyle you will face new quests with where you can park your tiny home to emptying a composting toilet (if you choose!). Living in small spaces can be very tedious but rewarding if you have a knack for traveling and seeing the things in life your mortgage can hinder you from. Downsizing your belongings is not always easy, as over time we collect mementos and special items, furniture, so on.. Tiny living forces you to be organized in very say ways, and as well organized in order to have space to relax within the mobile place you call home. It may not be for everyone- but for those who are looking for a less is more situation, this could be your key.